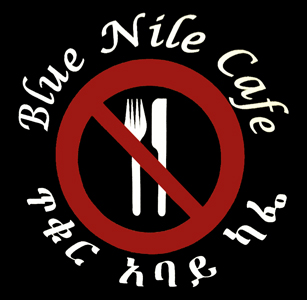 Online ordering menu for Blue Nile Cafe. As recommend by numerous food critics from around the Kansas City area, Blue Nile Cafe has been a KC staple for authentic Ethiopian cuisine for over two decades. Whether you order a simmering plate of Doro Watt--Tender chicken marinated in lemon, sauteed in herbed butter and stewed in berbere sauce--or a vegan friendly plate of Fosolia, we at Blue Nile Cafe can assure you every bite will take your taste buds on an amazing Ethiopian adventure--no forks necessary. Order online today and add a side of Lamb Yebeg Watt Alicha and bring home a meal the entire family can enjoy. Blue Nile Cafe is located near the corner of 5th and Walnut inside Kansas City's historic City Market in the River Market District.